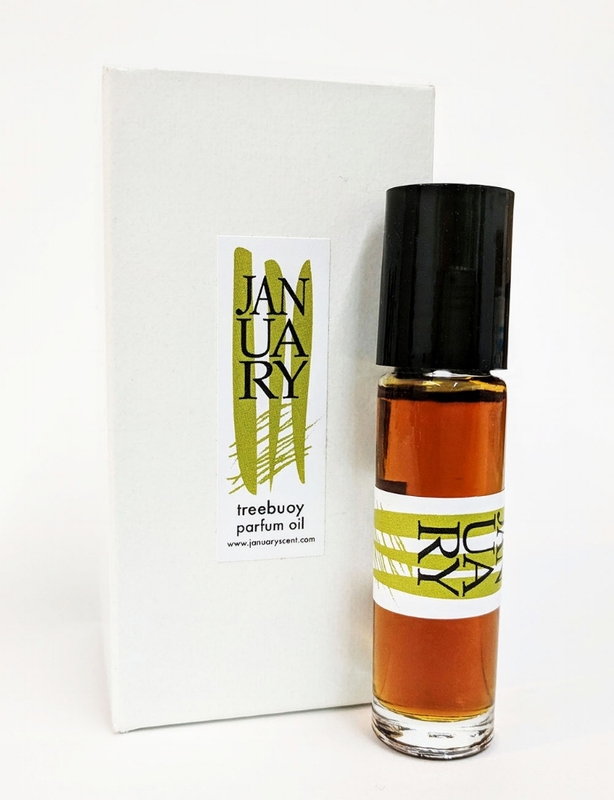 There is much to celebrate this New Year, perhaps most excitingly that January Scent Project was featured in a review of “log cabin scents” in the New York Times in December. 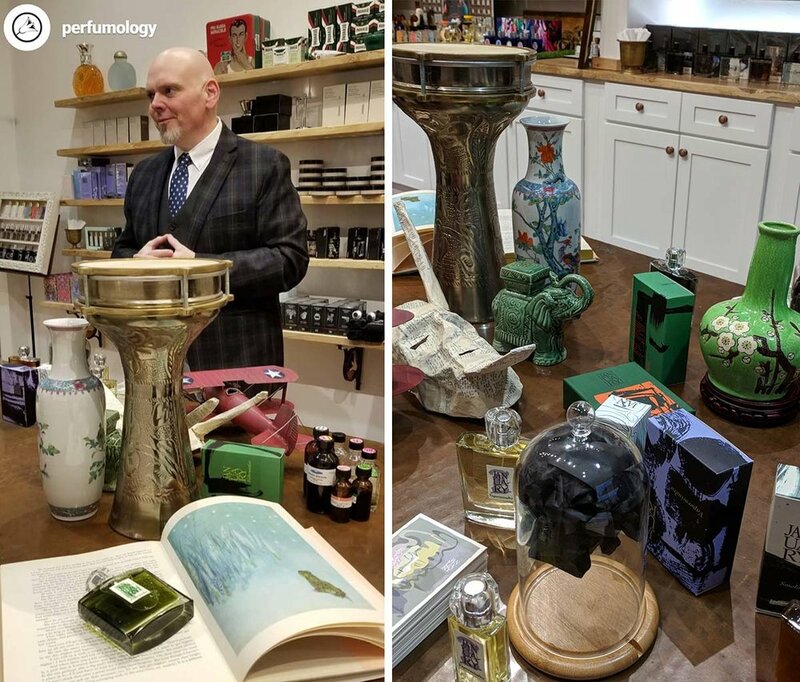 Earlier this season in December, I had the incredible pleasure of releasing the latest perfume, Dinudisit, at Perfumology in King of Prussia, Pennsylvania. This special niche shop run by Nir Guy is an oasis of great smells just a hop away from Philadelphia. It was a hugely successful venture and I’m glad to be represented with Nir and team. Highlights from an evening at Perfumology, King of Prussia, PA. I also curated and presented an evening at the Currier Museum in Manchester, New Hampshire, “Components of Smell,” in which I allowed museum goers the opportunity to smell separate “parts” of perfume in 14 different glass cloches. It was a broad range of smells from the smooth wood-musk of Cashmeran, or the pungent sourness of Oakmoss essential oil, to the almond and fruit flourishes of Heliotropex (Heliotrope reconstruction.) It sparked a fascinating array of conversations, memories, and very mixed reactions (particularly when people were smelling Birch Tar, that strong, smoky essence that helps to make the Russian Leather accord.) This was part of the Currier Museum of Art’s Art for the Senses program as part of the Currier After Hours event. Evening of Scent / Components of Smell at the Currier Museum in Manchester, New Hampshire. Only two days later, it was off to Brooklyn for the launch evening at Twisted Lily. It’s with much excitement that I can say we have a representative in New York City, a goal I’ve wanted for January Scent Project since its inception. The evening was a great success, and the shop became a packed house by 7:00 pm. Huge thanks go out to Eric, Stamatis, Olivia and Shawn for all their dedicated work in making this happen. Reception at Twisted Lily, Brooklyn, NY. Photos courtesy Mathew Underwood. This February, January Scent Project is also included as part of Olfactif’s Up in Smoke collection for women, featuring our perfume Smolderose. Join this fascinating subscription service for monthly curated scent experiences. January Scent Project has also been the subject of a wide range of video reviews over the past few months. Tommelise gives an in-depth review of our latest perfume, Dinudisit (water flowers), the legendary Joey Cannoli reviews a number of scents from January Scent Project in his very particular style, the British duo Wafts From the Loft take on three of the scents in their particularly poetic and energetic review. Burvuvu has had three reviews in particular, by Redolessence & Brooklyn Fragrance Lover, Aetherelaist, Steven Sturgill, and The Scentinel. The release of Burvuvu has been a particularly fascinating journey for January Scent Project because it seems to have struck a chord with a number of wearers, something that you can never quite imagine when you compose a perfume... but you always hope for the best when you send it out into the world. As we move forth through the end of winter and into spring, new adventures await as plans for a new fragrance take shape. April will see some more travel, and some possible collaborative projects may appear, all in extremely early iterative stages. Meanwhile, for the next two weeks, please enjoy the following discount at January Scent Project. Through the end of February, enjoy 20% off all orders over $30. Simply use the code FEB2019 at checkout to receive your discount. Offer valid through end of February 28th, 2019. Thank you again for your interest in January Scent Project, and I hope you are enjoying a restful but energizing start to the new year 2019. So much has been happening for January Scent Project in the last few months that it would be hard to summarize, but I will do my best. Most importantly, the enterprise made an important move to a new location in Pawtucket, Rhode Island, just a few miles over the border south of Massachusetts. The operation was becoming too large to manage from my painting studio so now it has a space all its own. I've spent the summer relocating the works there, continuing development on the latest perfume release, and working on what will be the next release later in 2018. Prior to this big change, I was able to join a number of my colleagues at Excense in Milan, Italy as a reporter for Fragrantica, and had some wonderful exchanges with perfumers, writers, bloggers and all kinds of enthusiasts from the fragrance community. It was an unforgettable experience, completed with another week soaking in the arts of Firenze. One of the highlights of this April was meeting the fantastic video blogger Yanna (Tommelise). It's one of the few times that I really felt pleased with the results - she is a natural interviewer! Special offers will be available to accompany the new fragrance, so stayed tuned for details, and thank you again for your support for January Scent Project.